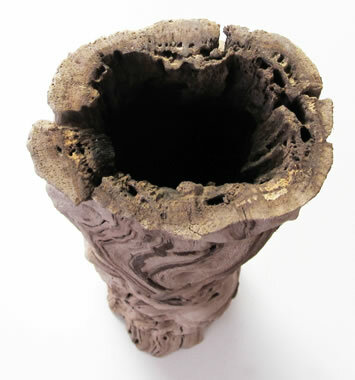 Grapewood Tiki (Grapewood Vase). These all-natural, hollow, sandblasted grapewood containers are perfect for creating unique centerpieces for your event or home. There's really nothing quite like these containers, and they will surely make a statement! Approximately 10"-14" tall, and approximately 4"-5" wide. These are 100% Natural products - shapes will vary. Vases are hollow, top to bottom. The interior of grapewood tikis are hollow, allowing you to insert flowers or other materials, either live or silk, making for a unique centerpiece for your event. Interior dimensions will vary from approximately 2 to 3 inches.